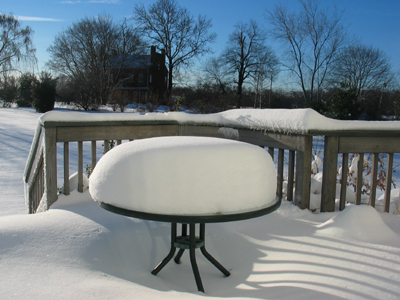 enlarge photo (1.49Mb) Our backyard after snow in December. Sasha is turning 16 on December 31. She is now in 10th grade at Holmdel High School and is starting to think about college. 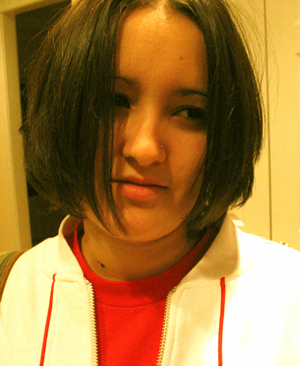 She continues to see herself in the future as a psychiatrist and enjoys taking introductory psychology at school. She likes going out with her friends to the movies, punk rock concerts, restaurants, New York City, downloading MP3 files from the internet and playing them on her iPod, chatting with friends from school on the internet, taking digital photos, going to parties in Rio with cousin Dominique, … Oh yes, she still enjoys going to the mall to shop. Following the steps of Dominique, Sasha added two more piercings and now has one on her nose and one on her ear, in addition to the one she did on her belly button last year. 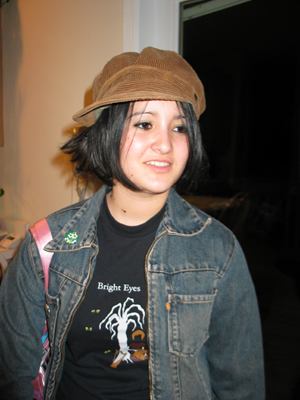 She colored her hair dark black and cut it short. For her sixteenth birthday, Lucia is taking Sasha and friend Debbie for a week in Italy. They traveled December 29 and will return January 5. They plan to visit Rome and Naples. 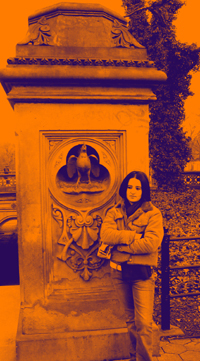 Sasha in Central Park in December. Sasha at Christmas. Sasha and Lucia in Santa Catarina, Brazil. Alec turned 12 on August 3. He is in the 7th grade at William R. Satz School in Holmdel. He enjoys computer programming and advanced math (he studied trigonometry and calculus on his own this year) and for the first time is enjoying English. 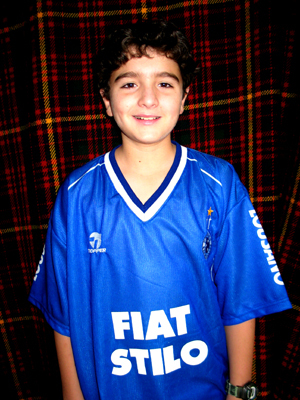 In his spare time, Alec likes going over to friend Adam’s house, takes care of his fish in his new aquarium, plays video games, watches cartoons (Sponge Bob, South Park, …) on TV, enjoys playing soccer in Brazil with friends Bernardo and Nick and cousins Alexia, Thomas, and Gabriel, and surfs the internet. He is building his home page on the web: alec.resende.info. His travel soccer activities take up a lot of his extra-curricular time. During Spring and Fall, he has a two-hour clinic on Tuesdays, two-hour practices on Wednesdays and Fridays, and a game on Sundays. In the Winter, there is a one-hour practice and a game on Sundays. Alec’s team (the Torpedoes) made big progress this year, winning the Winter league, being co-champion of their division in the Spring and placing second in the Fall. They went from National 3 division last Fall, to National 2 in the Spring, National 1 in the Fall, and are now finally in the Premiere division for the Spring 2004 season. 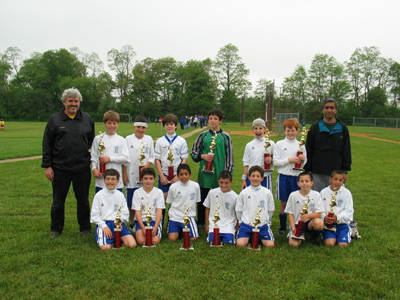 Torpedoes champions at Manalapan tournament. 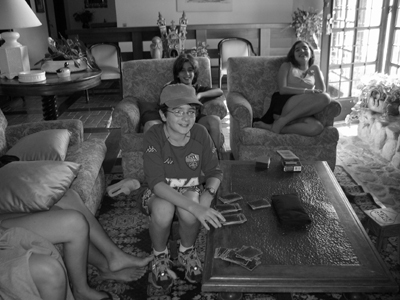 Alec with cousins in Itaipava, Brazil. Lucia is still at AT&T, having survived several rounds of layoffs this year. She works ten minutes from home. She is still involved with the design of telecommunication networks and services for large business customers. Off work, a lot of her time is spent designing and making jewelry (beads). She set up a little jewelry factory in the guest room at home, has displays at a couple of hair salons around Holmdel, and even has a web site: luciapolverelli.com. This year, she traveled to Brazil twice. The first time was for ten days in February to be with her dad, and the second time was for ten weeks, starting June 6. Her management at AT&T let her work from Rio for five weeks! 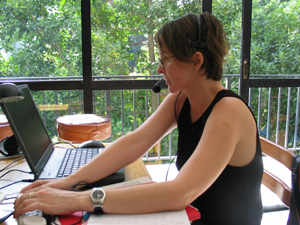 She set up a little office at friend Silvia Barandier’s Lagoa apartment with high speed internet access and managed to work fine in long distance mode. The rest of the ten weeks were spent with Mauricio and the kids on vacation in Rio and the south of Brazil. Lucia’s sister, Ana, married Teles in July and we all drove to Santa Catarina, for the wedding. After the wedding, we traveled to Florianópolis, Curitiba, and São Paulo, before returning to Rio. In Rio, we spent most of our time visiting friends, exercising (Lucia even joined a health club), and eating. Friend Zina Katz (from Buenos Aires), who we had not seen in over 20 years, visited Rio in August while we were there: we caught up on 20+ years of news with (you guessed it) more eating and drinking.. As if by miracle, Lucia and Mauricio gained no weight during the trip! 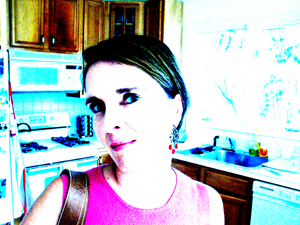 Lucia at home in Holmdel. 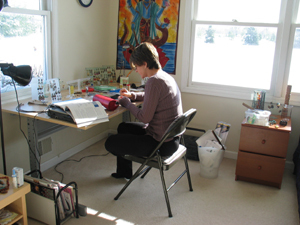 Lucia working on her beads at home. Lucia designing networks from Rio. Mauricio had his first experience with soccer coaching this year. 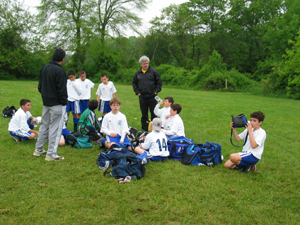 He coached Alec’s travel team during the Winter and Spring seasons and was assistant coach in the Fall. And the team did not lose a single match this year! Mauricio has spent a lot of his free time playing with digital photography, not only taking photos, but also scanning in old photos and slides to build a digital photo library. Mauricio is still working at AT&T Research. Despite another round of layoffs at Research this year and the continued attrition of researchers to university positions, work has not changed much for him. He continues to work from home about half of the time, and still collaborates with lots of people outside of AT&T. 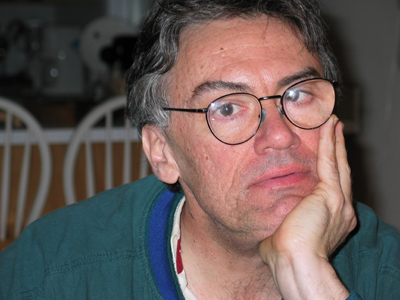 He is, however, worried about the future of AT&T Research, specially if people continue leaving at the current rate. Work related travel took Mauricio this year to Florida, Brazil (three times), Portugal, Japan, and Washington D.C. In the three trips to Brazil, he worked with his Ph.D. student Luciana Buriol (who spent 15 months at AT&T working with Mauricio in 2001-2002). Luciana successfully defended her thesis during Mauricio’s trip to Brazil in November, and will be off to a one-year post-doc in Rome, Italy, starting January 2004. 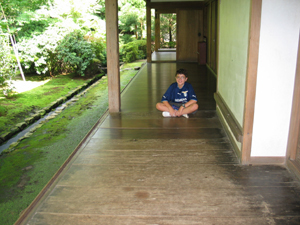 Mauricio’s most exciting trip this year was to Japan for a conference in Kyoto in late August. He took Alec along for the ten-day trip. 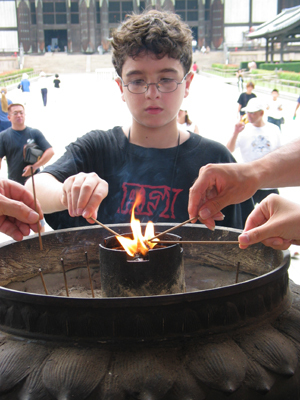 Father and son spent four days in Tokyo, and six in Kyoto, with a one-day trip to Nara. While Mauricio attended the conference, Alec spent the day with friend Thiago Ribeiro (Celso Ribeiro’s son from Rio) going around Kyoto on their own! They had a ball. In the world of publishing, Mauricio (with co-editor Jorge Pinho de Sousa of Porto, Portugal) published a new book this year: “Metaheuristics: Computer Decision-Making.” Another good piece of publishing news this year was that the “Handbook of Applied Optimization,” that Mauricio and friend Panos Pardalos published in 2002, was awarded “Outstanding Professional and Scholarly Titles in Computer Science of 2002,” by the American Association of Publishers. 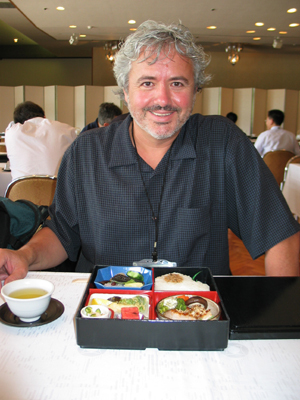 Mauricio having lunch in Kyoto. 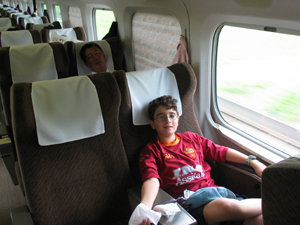 Alec on the bullet train. Alec meditating at the Rock Garden. 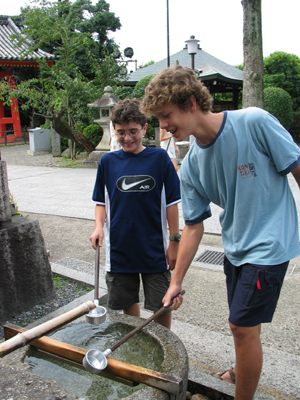 Alec and Thiago in Kyoto. 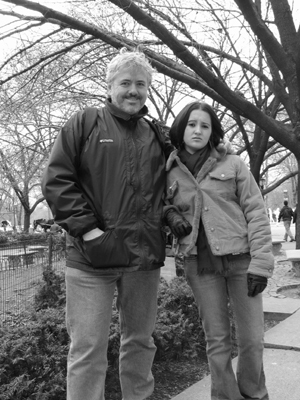 Mauricio and Sasha in Central Park, NYC. 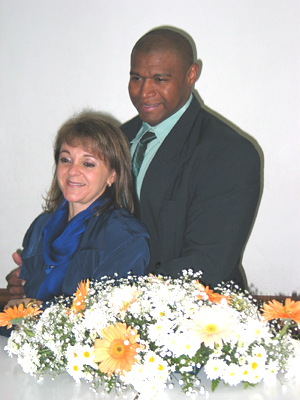 This year marked the return to Brazil of friend Geraldo Veiga, who was our guest during the first half of the year. We all miss him, especially the kids. The year ended with two weeks of vacation at home for Mauricio, a visit of Mauricio’s mom Renalva, just in time for Christmas and New Year’s celebrations, and with Sasha’s trip to Italy with Lucia and Debbie. Renalva will stay with us until March 8th, Lucia’s birthday. 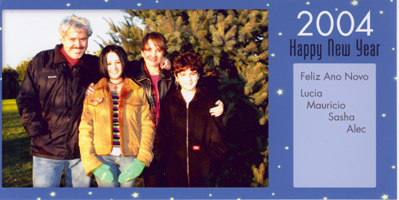 We want to wish you happy holidays and a wonderful 2004. Hopefully, we will get together next year.